Have you ever looked at a card and thought, "Oh my!" because something on it wowed you? Well I've got a card for you today that I think is going to have you saying "Oh my!". Squeal!!! Don't you just love this card? My friend Dena made this card, and I seriously said "Oh my!" as soon I saw how she used the vellum and glimmer paper with her dies! Clever...don't you think? 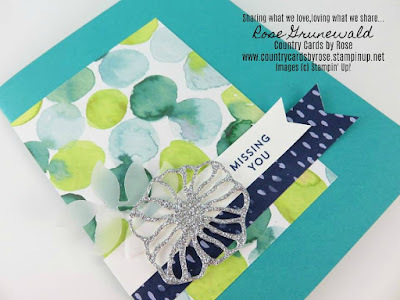 That glitz really makes the card pop, and that vellum makes it so pretty and soft. I just love it! 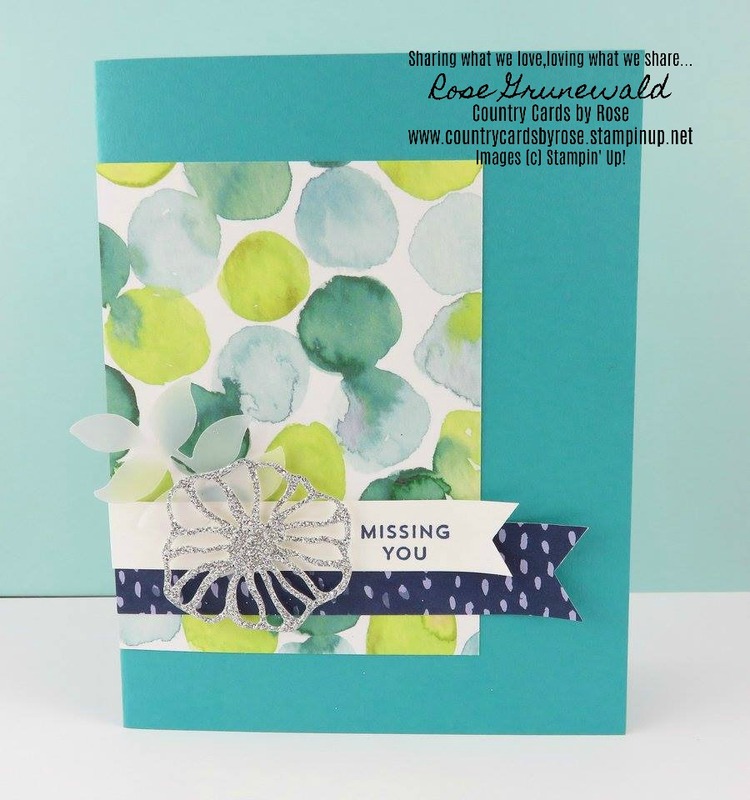 If you'd like to make this card, gather your supplies and follow along with this step by step tutorial! Adhere larger printed paper panel to side of Bermuda Bay Card. Stamp sentiment on Whisper White panel near left-hand side. Punch with Triple Banner Punch to create banner end. Punch smaller printed paper strip with Triple Banner Punch. Adhere to card as shown and add white strip on top. 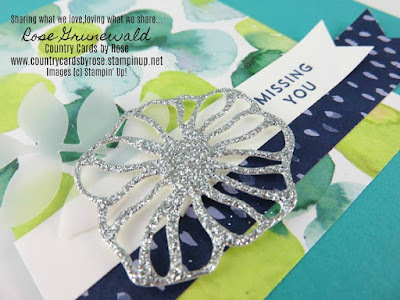 Die Cut flower from Silver Glimmer Paper and leaves from Vellum Cardstock. If you don't have a Stampin' Up! demonstrator, I would be so thrilled to earn your business! I love inspiring you with my projects, and all of my customers get an invitation to my private Facebook VIP page where I share exclusive projects with you, we play games, and you can win prizes! Remember to use my July hostess code J7QAQV2B to get a special gift from me :).